Most people vaccinate their pets at their vet’s recommendation but don’t know that the main reason for the multiple vaccinations they especially need to give to their new puppy, is to help prevent their pet catching or spreading Parvo. Of all the viruses we vaccinate against, Parvo is by far the worst. 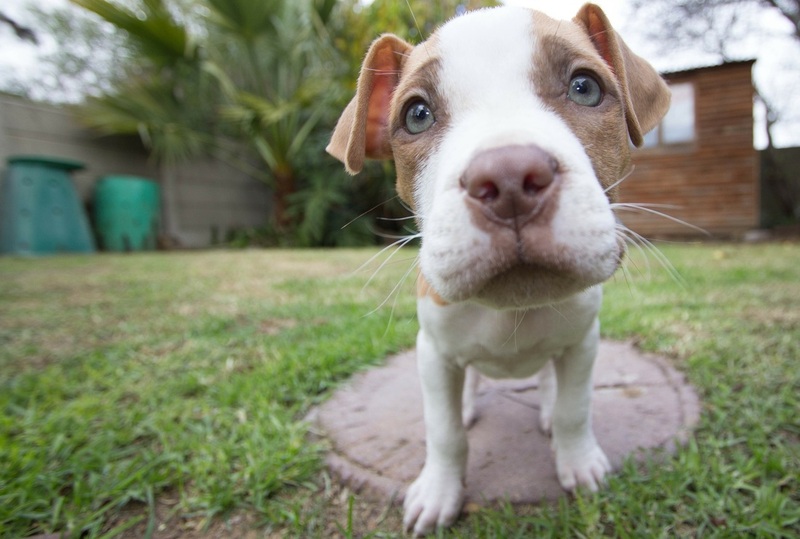 Parvo kills more pet dogs in Australia every year than any other virus. In fact, in Australia a dog catches Parvo approximately every 24 minutes. The disease causes terrible vomiting and diarrhoea, followed by dehydration and sadly in many cases death, particularly in puppies. in the areas where this disease is killing our pets. maybe even helping eradicate Parvo in Australia, for good. If not vaccinated properly, any dog has a high risk of catching this disease, during an outbreak. And sadly, outbreaks across Australia are still common, even in first-world Australia today. For a lot of people who live in good areas in capital cities the risk for their pets catching Parvo is quite low. But in other areas Parvo is everywhere. And we want to do something about it. Recent research shows that pet dogs in lower socioeconomic areas are at a much higher risk of catching and dying from this disease. So too are pet dogs in regional or rural areas. Latest research suggests that twenty thousand dogs and puppies catch Parvo every year just in Australia*, and half them sadly will die as a result of the disease. * Kelman M, Ward MP, Barrs VR et al. The geographic distribution and financial impact of canine parvovirus in Australia. Transboundary and Emerging Diseases 2018; http://doi.wiley.com/10.1111/tbed.13022. That is a lot of families losing a loved pet puppy or seeing it suffer before it recovers, for the lucky ones. And that is just the cases that are recorded and reported. It has been estimated that the true number of cases could be as high as three thousand to five thousand cases or more, every year, just in Australia. Around the world the stats are much higher. It has been estimated that the true number of cases could be as high as three thousand to five thousand cases or more, every year, just in Australia. If you are starting to get worried about your pet dog, hopefully you don't need to be - if he or she is up to date with their vaccines then they should be fine. And if you are not in an area where a Parvo outbreak is occurring then the risk is small too. But for many people who have pet dogs - and especially puppies which are very susceptible to this disease - who live in lower socioeconomic areas in the capital cities or in outer urban areas, regional and rural areas across Australia, and if their pets are not fully vaccinated, the risk of this disease is very high. The other bad news is that Parvo lives in the environment for over a year, so it takes time for it to disappear after outbreaks occur. This makes it harder to get rid of. It can also be transported on people’s shoes, so even dogs that don’t leave the house, or the farm, can still catch the virus, if they are not properly vaccinated. In some really bad areas (“Red Zones”) the virus occurs all year round. So how long has this virus been around? Surprisingly, Parvo has actually only been in existence since the late 1970s and early 1980s - it emerged at a similar time to the human AIDS virus (there is no connection however) . And we think it's time now to say goodbye to Parvo in Australia, and then the world. We think it’s time that the world says ‘farewell’ to Parvo. We think it’s time that Parvo is stopped. So how do we 'Help Make Parvo History'? Now for the good news - groups of dedicated scientists around the world have been researching this virus ever since it came into existence. So we know quite a lot about it. And we have really good vaccines nowadays that are capable of providing good protection for pups and dogs. We just need to vaccinate the right animals, at the right time, in the right areas, and we can reduce or maybe even eradicate this disease. We can certainly prevent the thousands of infections and deaths if we just vaccinate these pups and dogs, before they catch the virus. The other good news is that another group of dedicated scientists and vets are already tracking cases of Parvo across Australia so we know where some of the ‘hotspots’ and high-risk Red Zones for outbreaks are. 1. Vaccinate the currently unvaccinated and at-risk pets in each of the Red Zone areas, many of whom belong to people who struggle to afford the vaccinations, that’s where we step in. 2. Approach each Parvo hotspot area, one-by-one, starting with the worst at present (many areas are in fact in country towns in rural Australia). 3. By increasing the Herd Immunity in each area, we can stop the disease spreading. 4. Keep vaccinating new pets that come along to these areas that aren’t yet immune, until the virus has no one left to infect, and no way to spread. 5. Measure the campaign's success by determining the reduction in cases in areas we target. Paws for A Purpose will provide the vaccines which we will buy or get donated (where we can) and then partner with vets, vet nurses, local councils and other dedicated volunteers to ensure that we can reach the people and pets in need. We will raise awareness with local communities about Parvo, and work together so that we can get rid of this heartbreaking virus in Australia, once and for all. One of our team is already embarking on an ambitious scientific research project to get a more accurate picture of the true incidence of this disease in Australia, and identifying the first "Red Zone" areas to hit, to try and bring this disease under control. A big task? For sure. Are we up to it? You bet. Want to join in the fight to eradicate Parvo in Australia? Contact us and let us know how you want to help.